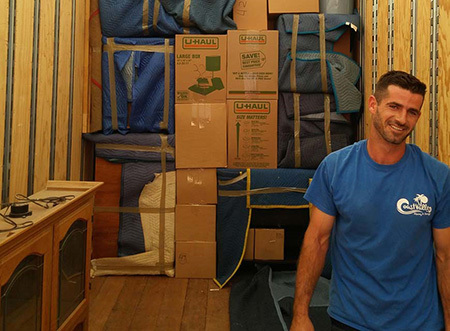 For reliable moving services in, out, or around Mission Viejo, depend on Coast Valley Moving & Storage for the highest-quality moving services available. As a ProMover business, we're the top choice for Mission Viejo movers providing customer-oriented moving solutions for both residents and businesses. You can feel confident that when you work with our moving experts, you're getting paired with professionals who understand what you're looking for in a reputable mover. As an agent of Wheaton World Wide Moving, our movers have the capabilities to handle moving operations of all shapes and sizes no matter the complexity or budget limitations. Our pros use the most advanced moving technologies and techniques to complete your moving operation with ease. Using cutting-edge moving equipment, our experts are able to coordinate and execute any sized household move anywhere in the country. We offer personalized moving services that can be tailored to fit the precise needs of your household for a stress-free move. If you're ready to get started on your custom moving plan, call the Mission Viejo movers at Coast Valley Moving & Storage today. Speak with a moving specialist toll-free or fill out our Quick Quote Form to get your FREE, no-obligation moving estimate! We look forward to working with you!